I have a very simple rule for impulse buys: if I’m on the fence about buying something I can afford and think about it two weeks later, then I go for it. 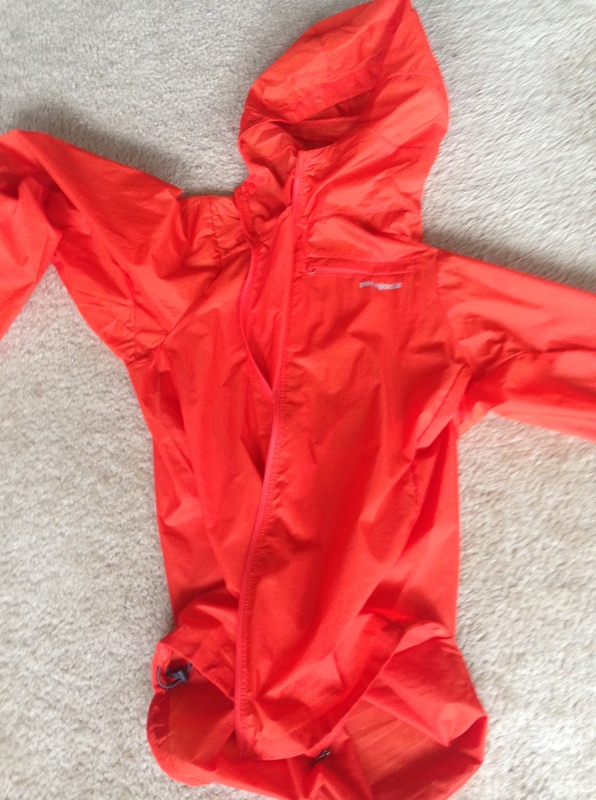 The Houdini jacket is an exception – I’ve been eyeing it since the downpour at North Face Endurance Challenge in December 2012, and finally caved during a recent rainstorm. I’ve read countless glowing reviews that cite its packability, weight, warmth, and running fit, but I didn’t appreciate it until I tried it on, and didn’t fully appreciate it until I took it for a 10 mile test drive. Despite heavy wind and cold rain by San Francisco standards, the Houdini kept me dry and comfortable – I barely noticed that I was wearing a jacket. The hood is unobtrusive, the inside of the zipper is smooth, and it’s extremely breathable – slightly unzipping the jacket cooled me down very quickly. After I arrived back home, I hung it up to dry for no more than 20 minutes until it was good as new. 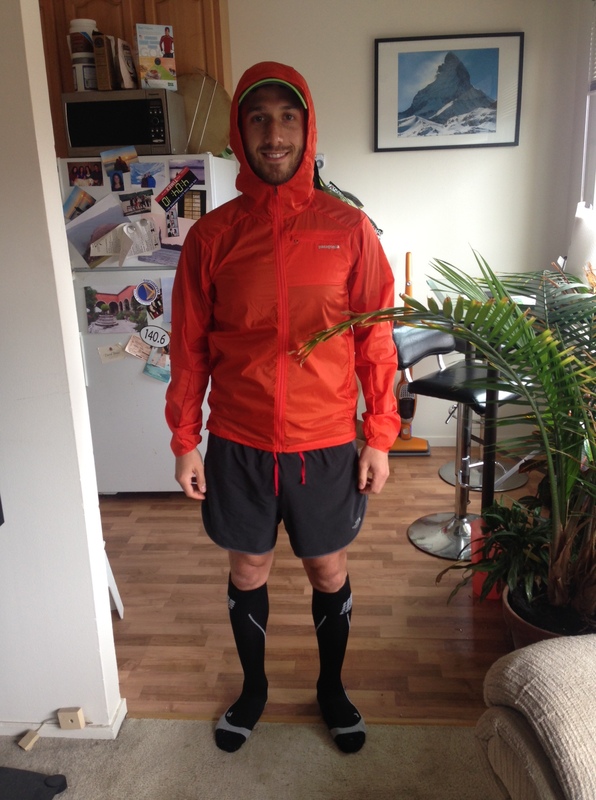 Overall, the Houdini far exceeded my expectations, and I think every runner should have a similar jacket in their closet. It’s extremely easy to stash in a pack or even the back of a bike jersey – it even stuffs into its front pocket! At $99, it’s not cheap, but considering it’s backed by Patagonia’s lifetime warranty, I’m more than happy with my purchase and highly recommend it. Sounds like a great product, enjoy! Great review- might look into this. I have those same socks. Just in case you were wondering. The last two years that has been the finisher’s jacket for AR50, I love that thing! Jesse loves it too (and wants to do AR50)!